Come to the glittering city of Paris, sharpen your French skills, and take in the best of French culture! 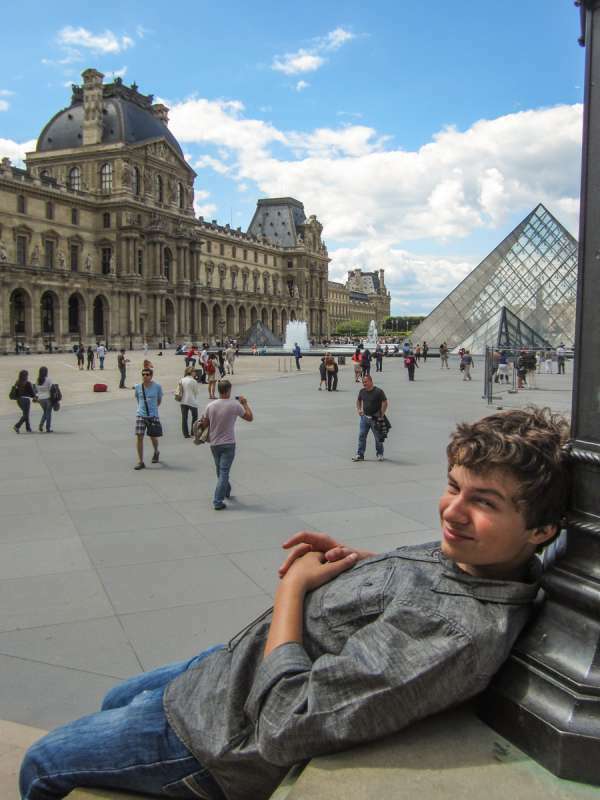 Paris is the city where Travel For Teens began, and with our history, local knowledge, and strong connections there is no better way to discover the City of Light than with us! We will help you improve your ability to communicate in a second language by making sure you are fully immersed in it. 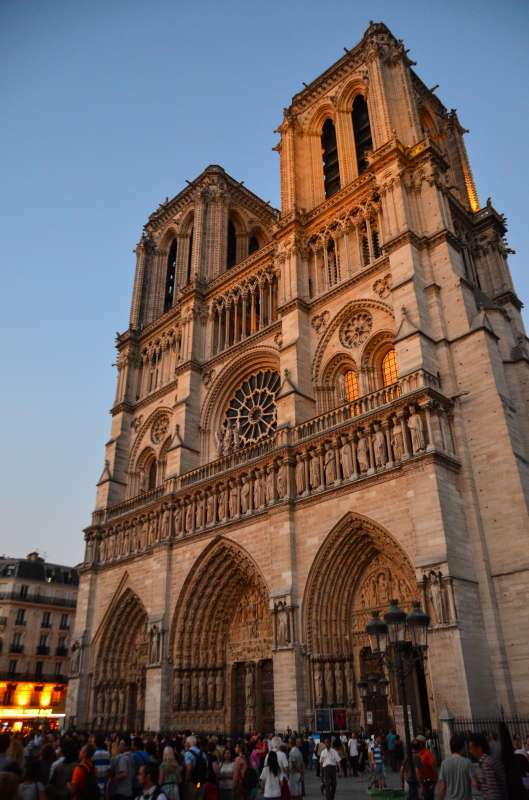 You will spend your mornings taking French lessons and your afternoons and evenings traversing Paris’s legendary quarters and seeing the best the city has to offer! Our experienced bilingual staff will accompany the group at all times. After classes, take your newfound knowledge to the streets, where you will chitchat with shopkeepers, order your own food at restaurants, and participate in fun activities such as scavenger hunts to practice what you’ve learned at the academy. 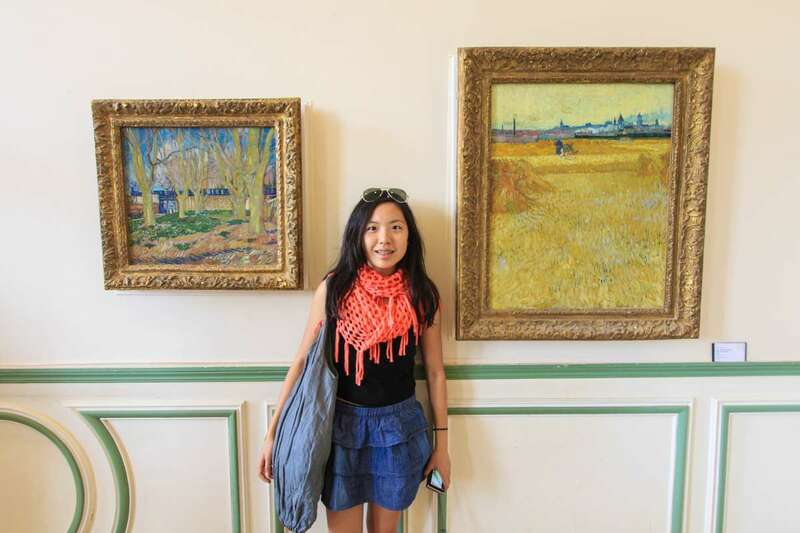 Outside of class, soak in the best of French culture by exploring Paris and Nice, two very different–but both quintessentially French–cities. You’ll cruise the Seine at sunset, stroll the Hall of Mirrors at Versailles, and explore the artistic hilltop neighborhood of Montmartre. 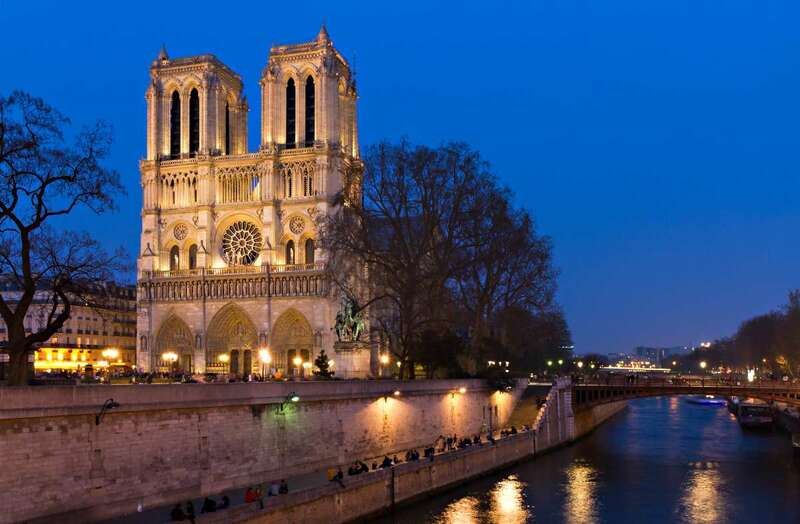 Plus, you’ll be in Paris for Bastille Day, France’s most important national holiday. Watch the parades, attend the Fêtes des Pompiers, and enjoy the spectacular fireworks show from the Eiffel Tower! 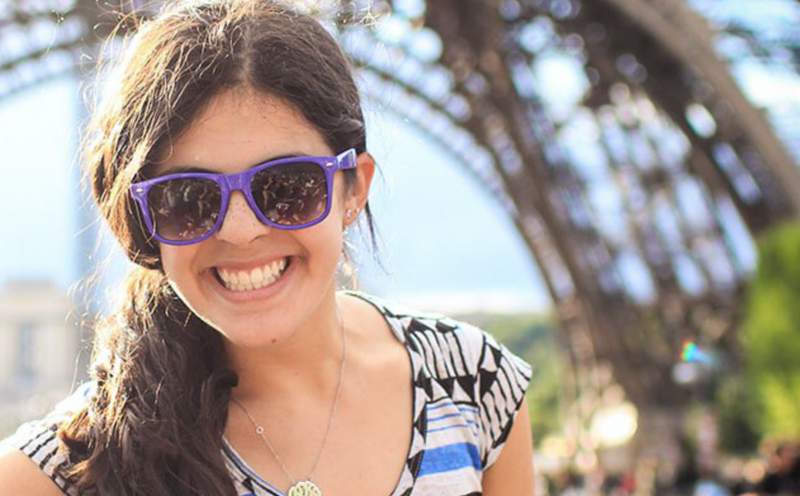 This program is perfect for any high school student who has an interest in learning another language, whether they’ve been studying French for years or they’re looking to try something new for the first time. 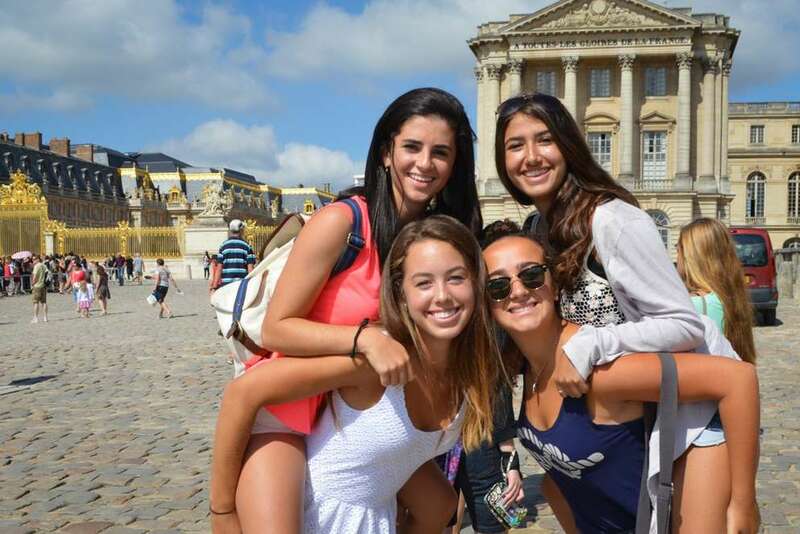 Join Travel For Teens this summer to experience authentic French joie de vivre! 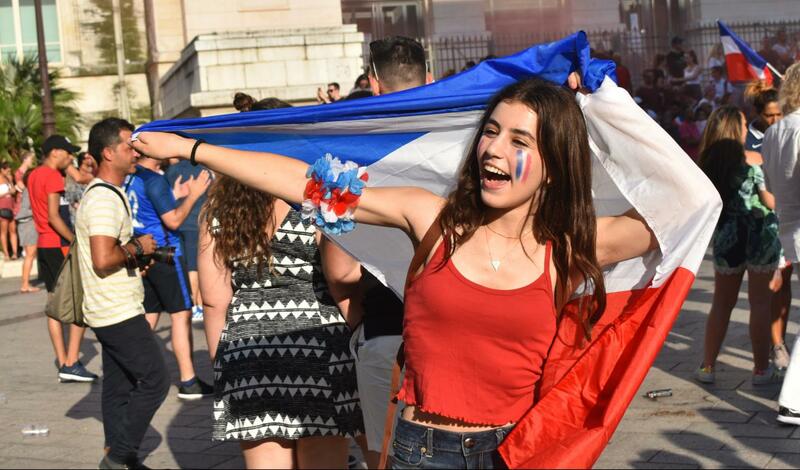 Celebrate Bastille Day, France’s biggest national holiday, with parades, fireworks, a picnic on the Champ de Mars, and going to the top of the Eiffel Tower! Want to feel even more fluent? 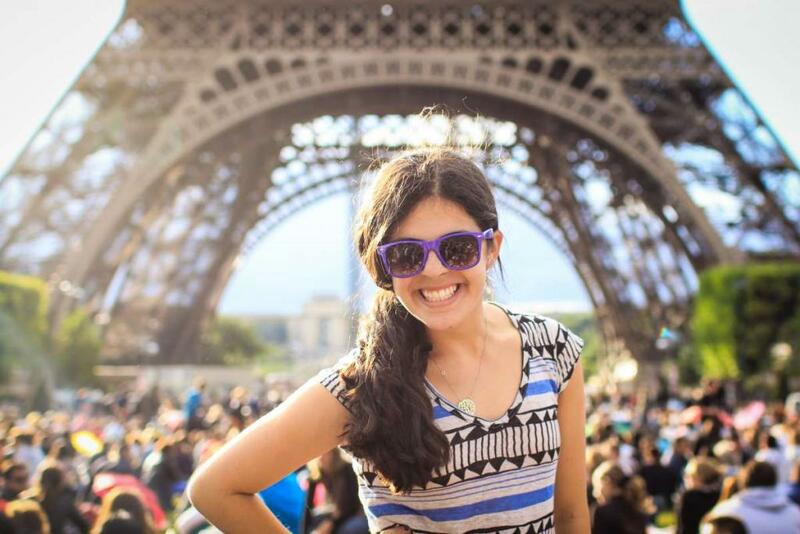 Most travelers opt for the 22-day version of this program to have another full week of classes in Paris. Bienvenue en France! 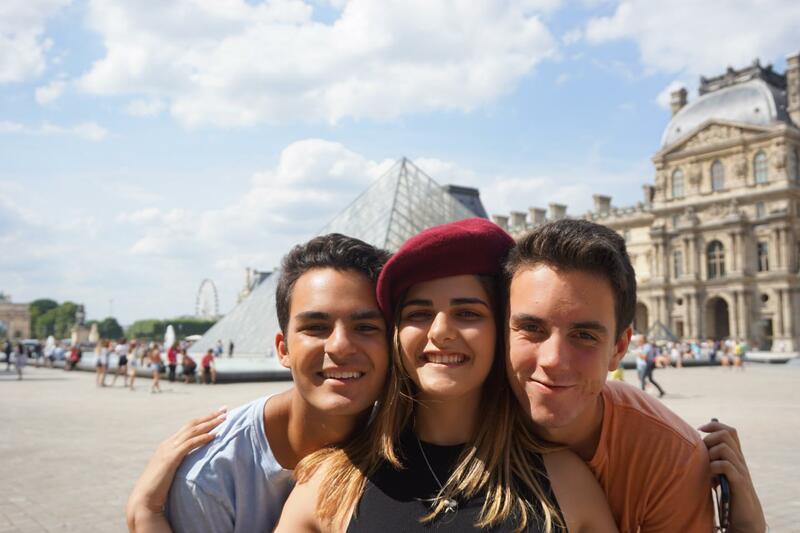 Your weeklong French course will be held in the morning at the ELFE Language School of Paris, and in the afternoon you will have the chance to put your classroom learning to the test as you explore the city and interact with Parisians. 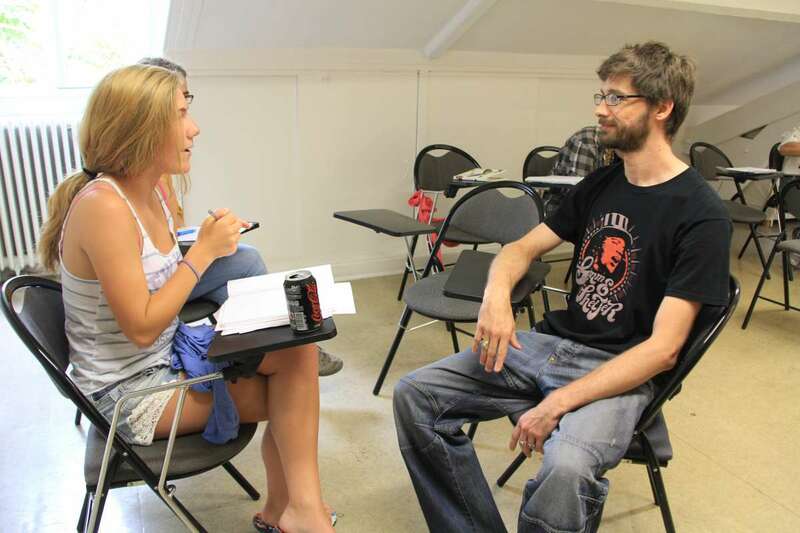 Don’t worry if you’re a beginner or you don’t think you speak well – this language experience is designed to benefit any and all skill levels and the important thing is to do your best and learn from one another. You will take an assessment test first thing so that you are placed in the appropriate level of class. We’ll also do fun practice activities like scavenger hunts and more! All throughout, you’ll get to hone your French skills as you talk your way through the City of Light. 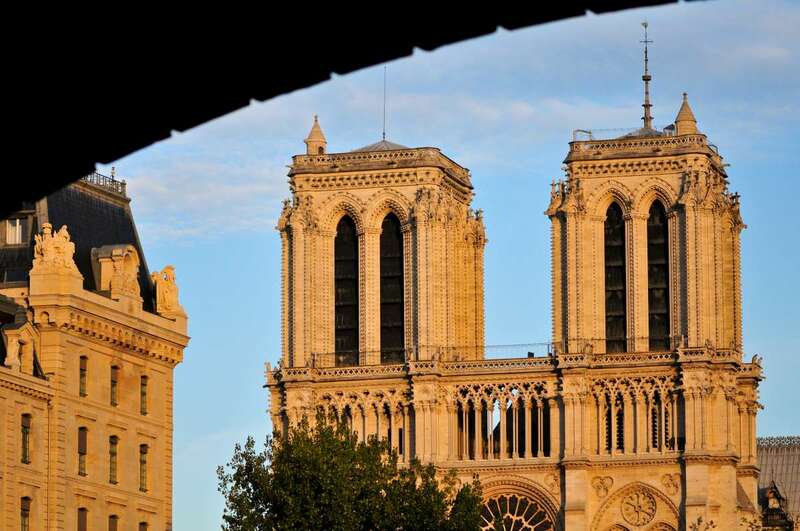 We stay at a lovely Parisian hotel in the 9th Arrondissement, one of the most culturally rich districts of the city. 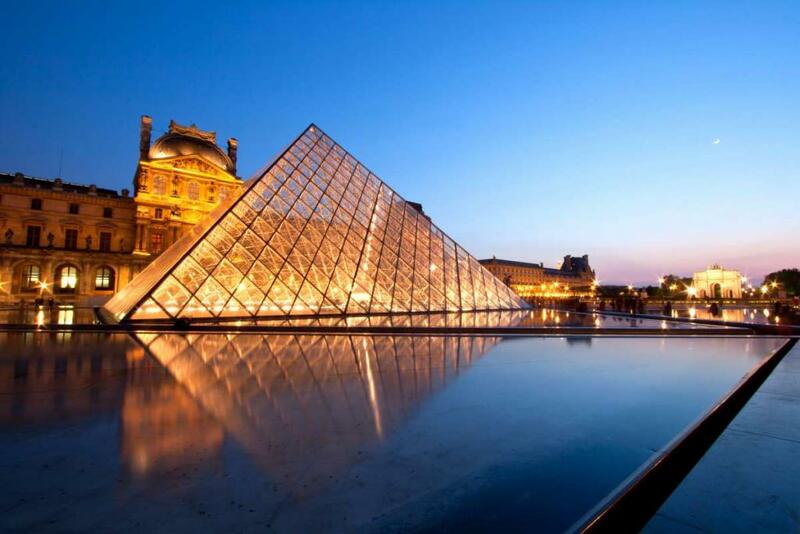 Here, you’ll be just minutes from the most sought-after attractions in Paris. 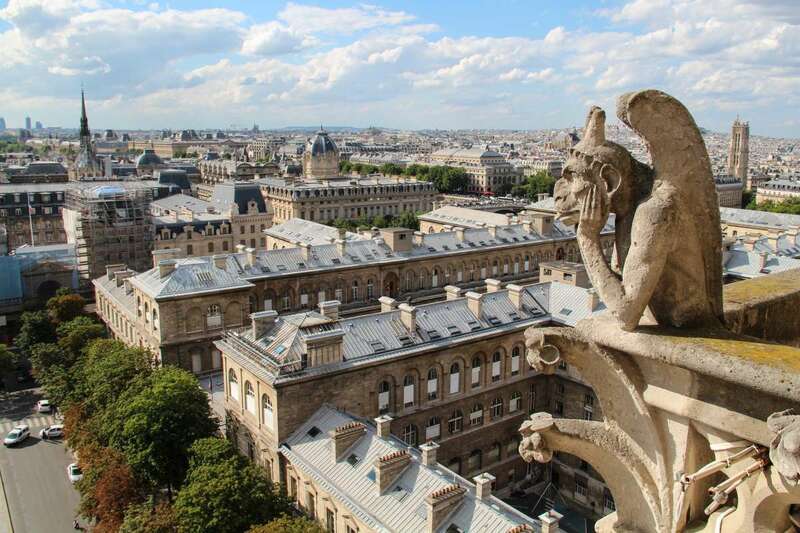 We’ll take you from the heights of the Eiffel Tower to the bustling Sunday morning marketplaces. You’ll shop in posh boutiques along the Champs-Élysées and scour the flea markets for bargains. 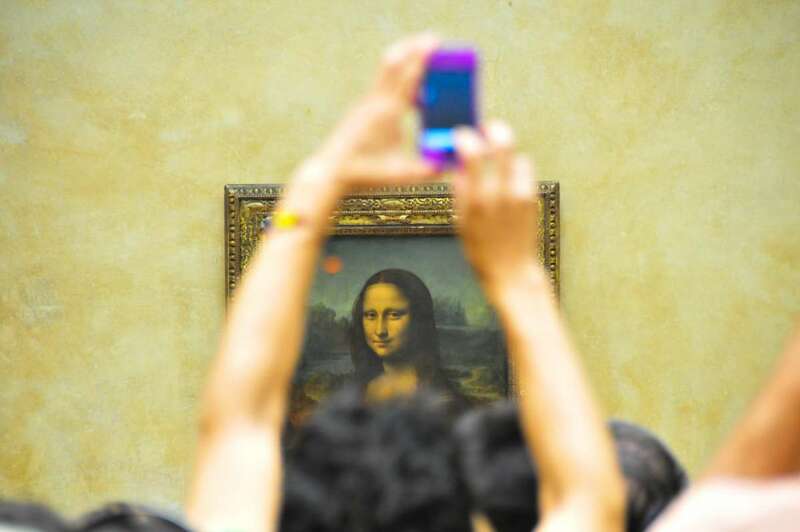 Take in some of France’s best art at the Musée d’Orsay and the Louvre, go for relaxing walks in the Luxembourg Gardens and Père Lachaise Cemetery, and see Quasimodo’s home at Notre Dame. If you want, you can even take a day trip to London on the “Chunnel” train! 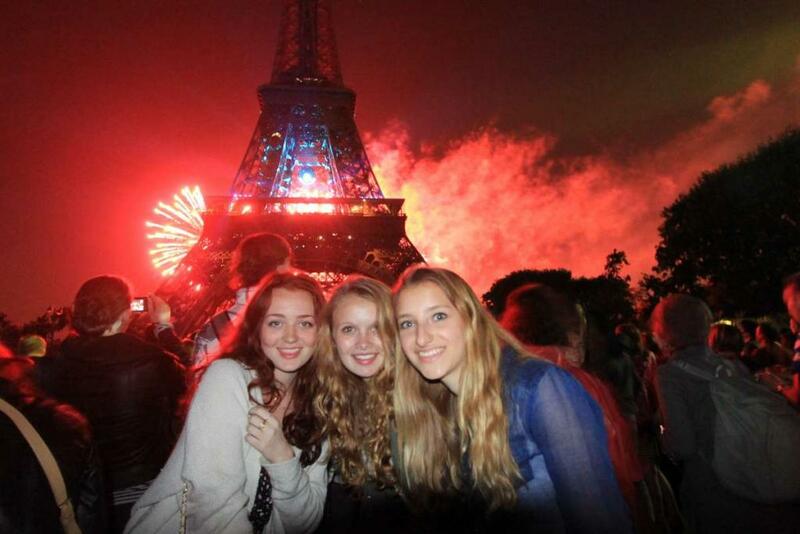 Plus, don’t forget the highlight of the trip–Bastille Day! 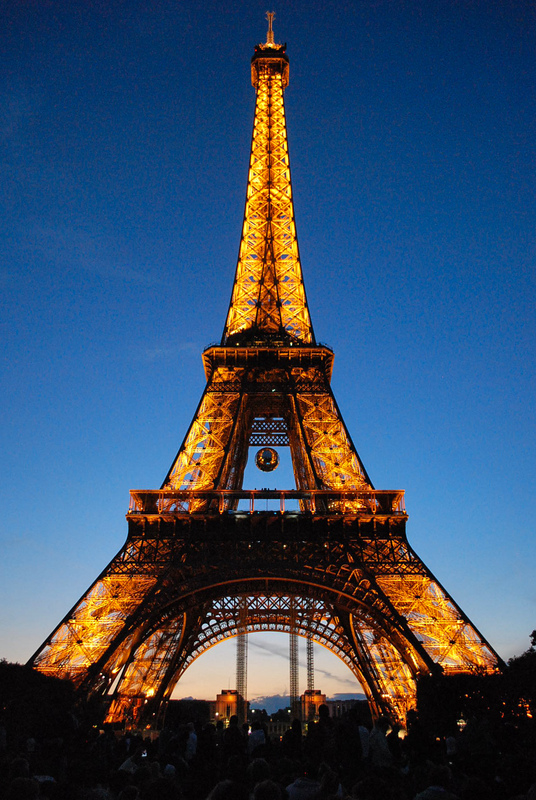 We’ll go to the Fêtes des Pompiers, the parades, and watch the fireworks that are set off at Trocadero from the Eiffel Tower! 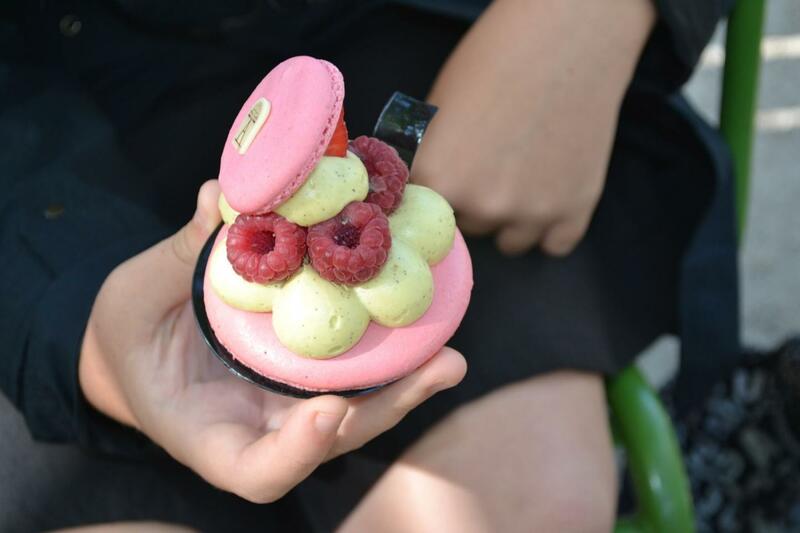 Celebrate France’s most important national holiday just as the French do, with a picnic on the Champ de Mars and in good company with good friends. 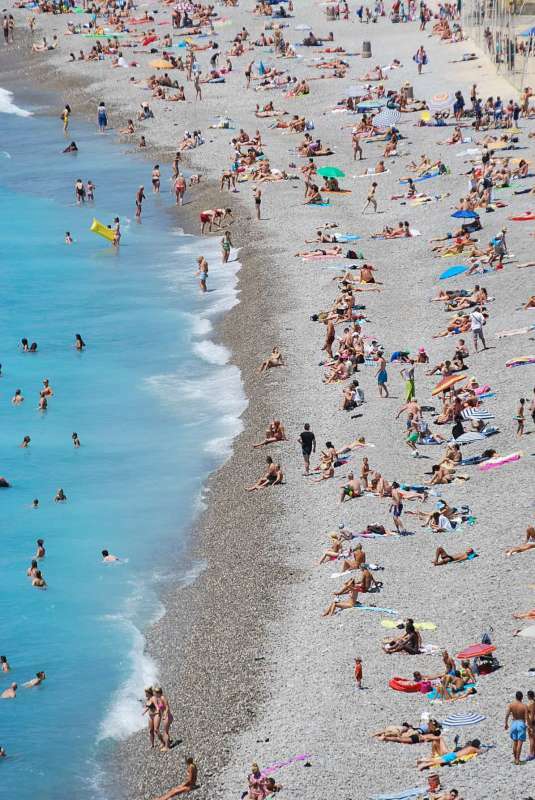 Do as the Europeans do and hop on the high-speed train down to Nice to exchange the hustle and bustle of Paris for the beautiful beaches of the French Riviera. Stroll around Vieux Nice’s Boulevard Anglaise and poke around the quaint shops here, chitchatting with shopkeepers in French. 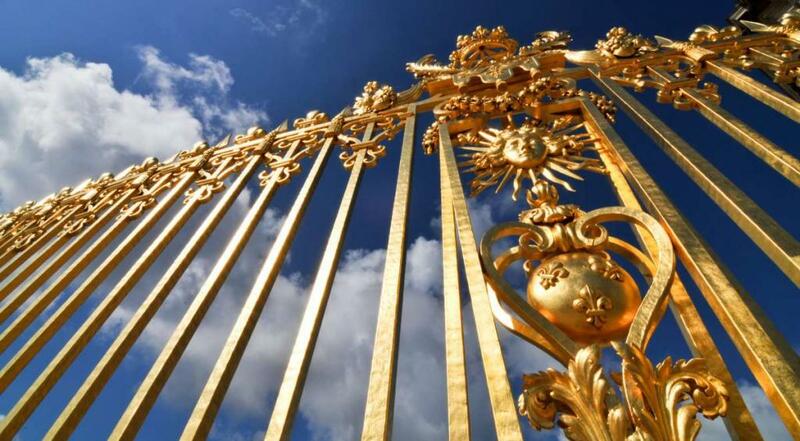 Climb to the hilltop castle for an unparalleled view of the Cote d’Azur, and belt your heart out at Karaoke night! Plus, you can choose to go on our optional excursion to Monaco and Italy, to see where Europe’s rich and famous go to play. We also spend time in St. Paul de Vence and Èze to connect participants with the medieval villages of Provence, sources of artistic inspiration for centuries. 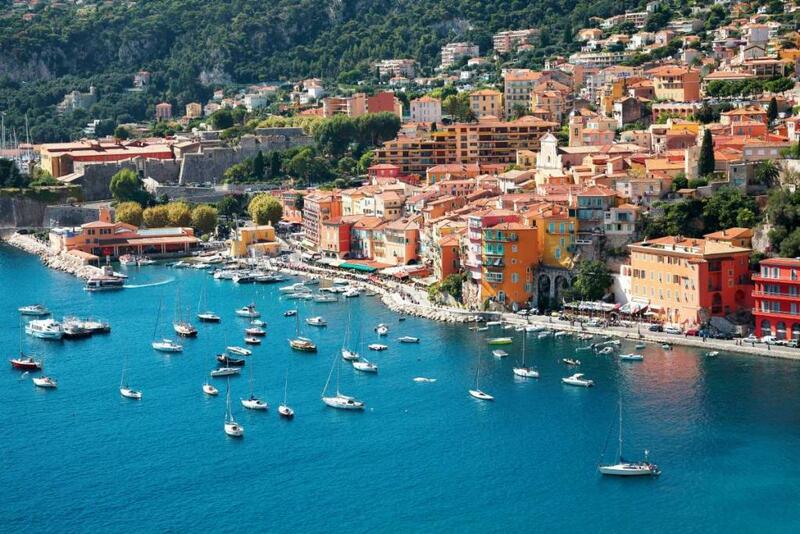 You’ll even visit Cannes, home of the famous international film festival! The final dinner is at an elegant restaurant right on the beach beside the Mediterranean, gentle breezes wafting, while candles and music give a fitting end to a trip that encompasses much of the best that French culture has to offer. In Paris, we will be staying in a modern hotel in the heart of the 9th Arrondissement, right next to the Opera House. 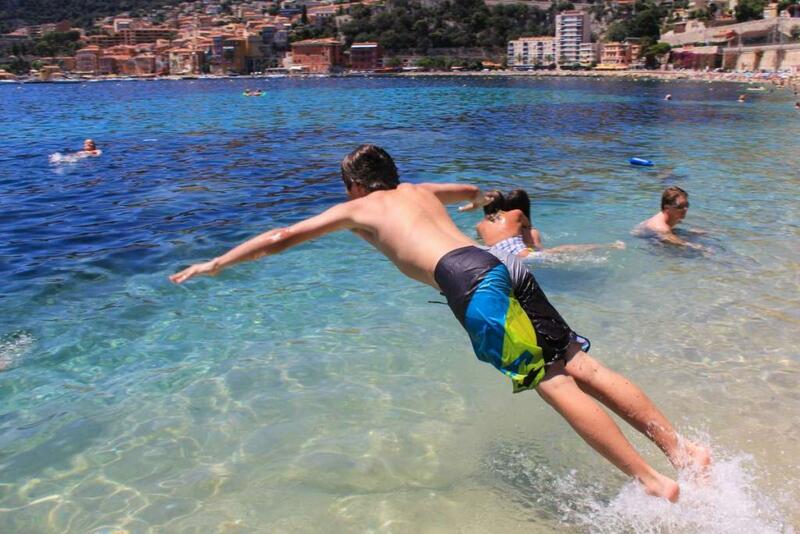 In Nice, we stay right in the heart of Old Nice, close by the Boulevard Anglais and of course the beach! 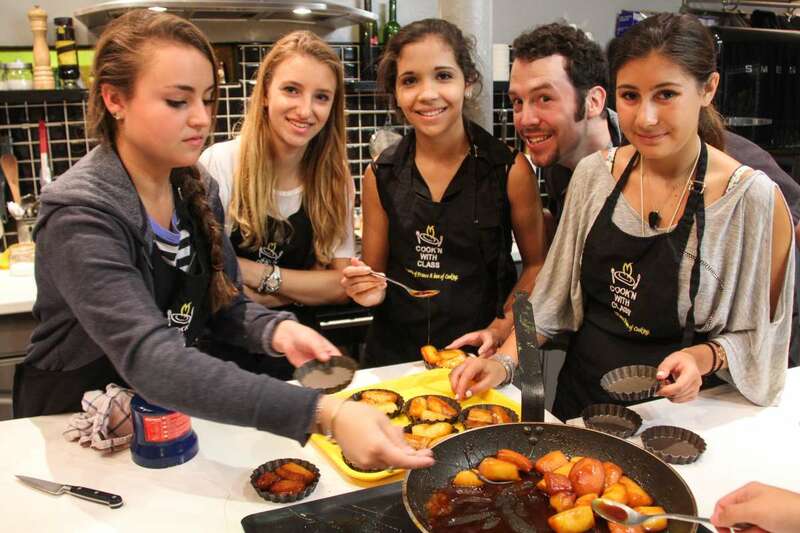 Students love that they are able to learn and practice their French with locals in the best possible place to do so, while at the same time learning about French culture and seeing some of the best sights both Northern and Southern France have to offer. Between our French lessons tailored specifically to each individual student, the out-of-the-classroom learning and cultural exploration experiences, and of course being in Paris for France’s most important national holiday Bastille Day, this program is unlike anything else! No! 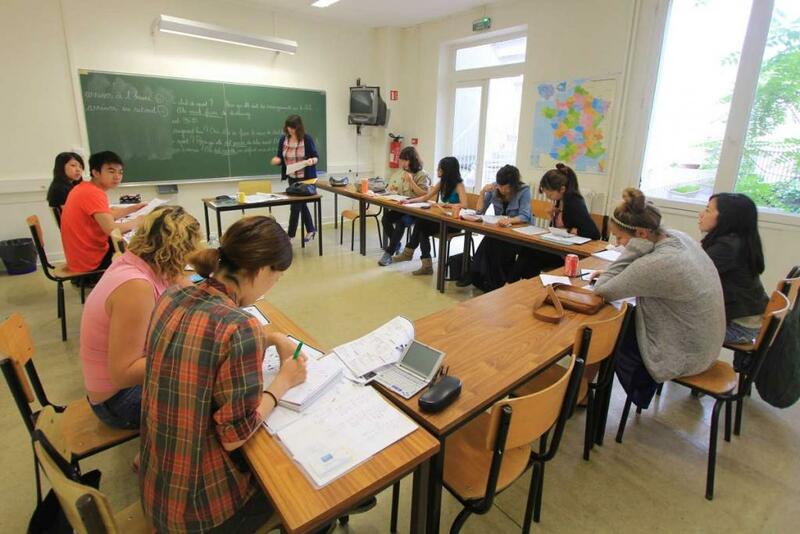 Our French classes are for all levels, from beginner to advanced, so there’s something for everyone. Before the start of the program, you will be complete a placement exam to see which class is most appropriate for your level. "First of all, thank you for the great pics. You have no idea how much this means to my husband and me. We feel like we are on the trip with Quinn. Of course it wouldn't be complete without your awesome narratives. It is wonderful to be able to know what adventures Quinn has experienced just hours later. Your writing is beautiful and detailed enough to feel like we were there. Keep up the good work! Quinn is having the time of his life and we are just delighted to get a glimpse of it all." "Thanks so much for the updates! Montana looks and sounds really happy!" "Thanks for the detailed updates. We love hearing about the adventures!"